I've had the same problem with my several of my ruins. Looks like the issue was that I should have named the block MobSpawner:Cave_Spider instead of MobSpawner:CaveSpider. Hope this helps. Just a simple question, How compatible is this mod with Recurrent Complex and BOP. As I explore more and more i get a crash, games just shuts down, i suspect is a loading issue. Love to explore and all this mods that generate structures make my day. Thanks for all your hard work ! ! No. That would mean hard-baking templates into the mod, and the entire point is for people to setup their own sets. Ive used the same seed for two worlds but certain ruins spawned in the first world are arnt there in the second. Is ruin generation not tied to seed? No. While Ruins does use the Minecraft random system, it does not tie to the coordinates, so each generation will be different. For some reason, Ruins don't spawn for me, and I haven't been able to find the config file. Help please? Use the ingame template saving function to convert a dispenser with an egg inside it? Would it be okay to make youtube videos using this mod? Not working on 1.11. Using curse to install... possible reasons? Yes. I have no idea how curse installs. Extract the zip into your minecraft folder. Posting the .jar file is the easiest route for people, and ensures that you get credit in the Rewards Program for every download. Having to manually place the jar in the zip file after extracting means you only get credit for the initial download. will this work server side only? if i install it on a forge server can vanilla clients connect? Hi, I'd like to know, is there a way in 1.10.2 to get Ruins to spawn in The Void biome? will the latest 1.9 version work with mods like the lucky block mod? 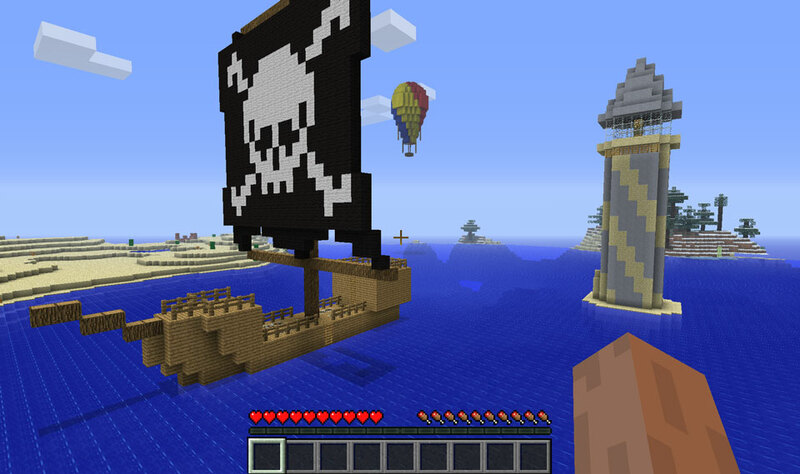 Running this on 1.7.10 and I'm not getting any floating islands with castles on which is what attracted me to the mod. I've tried generating new worlds and flying around them in creative but just not getting any of them. Are they just very rare ? Is there a setting I can change to make them spawn? I'm getting an overkill of the Golem Towers though, which makes me wonder if there is something wrong with mine. Thanks for keeping the mod alive. I love exploring and this adds a lot to the experience.